Black Friday, Small Business Saturday, and Cyber Monday are upon us and as small business owners it is time to begin preparing our businesses for the shopping frenzies that can only be found during this time of year. Black Friday, Small Business Saturday, and Cyber Monday are upon us and as small business owners it is time to begin preparing our businesses for the shopping frenzies that can only be found during this time of year. Sales are forecasted to increase 2.8 percent over last year’s figures, which means that a truly astounding number of people will be shopping during the time period shortly after Thanksgiving. The first step to anything is to create a plan, and preparing for Cyber Monday is no different. Is it important to prepare a plan of what sales you will be having, what items will be advertised and how you will begin preparations for your Cyber Monday customer traffic. This gives a clear direction for your store, employees, vendors and customers when the rush of online orders begins to flood in. As a business, it is important to check and work with your hosting provider to ensure your website can meet the high traffic needs during Cyber Monday. Traffic to your website will most likely more than double during the peak Monday shopping hours and work with your provider to create a strategy for keeping page and product loading times low. Also work with your host to make sure your site’s current bandwidth is burstable. You may also want to look into purchasing additional bandwidth before getting charged with using excess bandwidth during the shopping season. A website can say a lot about a company and a site that is clear, easy to use and filled with valuable and updated content can help drive traffic during the sell season as well as direct customers to your hot ticket items. Preform a site audit and look to where you can adjust wording to be simple, clear and contain a call to action. Calls to action encourage clients to purchase your product “before it’s gone.” Once your site audit is complete, update the content to reflect your Cyber Monday sales and item descriptions in a positive, easy to read and easy to understand way. The easy use of your site will result in grateful and appreciative customers who come back year after year. All this hard work on your site is for nothing if you don’t have a fluid and convenient check out process. Asking for repeat information or requiring extra work to purchase a product results in unhappy customers who are frazzled by the poor condition of your check out process. This may mean a lost sale or unhappy clients who won’t promote your product or brand to anyone else. Remove any obstacles and make your check out process simple and easy. All the hard work of planning and preparing for Cyber Monday will all be for not without a good business advertising plan. As small business owners, we may not have the budget for special advertisements for our Cyber Monday and holiday sales but spreading the word through free sits such as Pinterest, Facebook and Twitter maybe enough to drive that holiday traffic to your site. Part of a good online advertising plan would also be to post photos of your products online on social sites to circulate interest for your Cyber Monday sales. No matter your budget though, prepare and implement an advertising plan to get customers to your website to purchase their holiday items. Lastly, you must prepare your inventory to keep up with the coming demands of holiday clients. Let your vendors know you’re expected amount of sod inventory and prepare your facility to be ready to ship out items as soon as possible for clients who are anxious to see their online purchases. If some items need to be restocked, restock them before the holiday rush to save time, money and stress on you as a business owner. The whole point of preparing your business for Cyber Monday is to create an ideal customer experience for the holiday shoppers. Through preparing your website, your optimize customer satisfaction as well as sales. By creating a plan, it reduces stress on you and gives you a clear direction when dealing with clients. Advertising drives traffic to your site and by preparing inventory you don’t run the risk of delayed shipments and unhappy clients. The key to a great Cyber Monday sale is to create a great customer experience and by preparing your business to do so, you will succeed as a Cyber Monday and online business. For more information on different business technologies available, click here. Want to Make Budgeting Fun? Get Expenses App! Leads are one of the most critical aspects of any business. For most businesses, they are so essential that they are both the beginning and end of the most substantial ranging functions, such as your marketing funnels. Getting enough leads is a process that needs to continue at all hours, and this isn’t as difficult as it used to be since the widespread application of the Internet. YouTube is one of the best ways to make your marketing work for you 24 hours a day and seven days a week. The thing is, you need to make sure that your leads are coming in all of the time, which involves making sure that what you’re putting out is evergreen. Evergreen content isn’t seasonally based, and it makes as much sense to your intended clients in February as it would in August, and as much in December as it does in June. To start with, since you’re already taking the time to protect your company from a legal perspective, you have to protect all you produce in the service of your company. By protecting your content, you allow yourself to both save an asset that took time to produce and to save your company image. Protecting your image includes every video and audio file you produce. Some of the protections can be access-related. Allowing only partial access to your files can be useful, especially when there’s less of an ability to add watermarks or other protections. 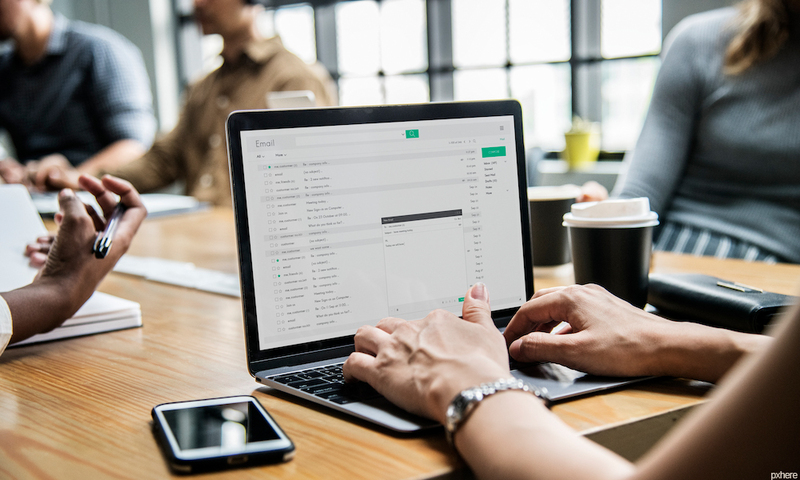 Allowing access behind an email collection wall that only sends the link to people once you have some of their contact information can also help you protect your content. Of course, in marketing, you usually want to cast a wider net than this. Since being an entrepreneur requires that you become comfortable with some level of risk, it pretty much goes without saying that many of your videos aren’t going to “go viral” and become talked about by millions of people. Making videos involves making plenty that either will never have high viewership, or that won’t have many viewers for a long time. Even if you’re a video-making professional, less than one percent of YouTube channels will achieve an “Internet famous” status. This isn’t even counting success stories that reach a level of fame that transcends the Internet. Since there’s so much content that’s already out there, and so much of it is well-made, getting noticed quickly is all but impossible. Nonetheless, sticking it out and making a significant number of videos is still a crucial part of your success. Making a handful of videos won’t help nearly as much as producing a sizable number, just like making vague statements won’t make the same level of impact as does making highly precise statements. Add value to the lives of your best potential clients, and speak in terms that will resonate with them, and you’ll eventually attract the types of people who will buy from you. 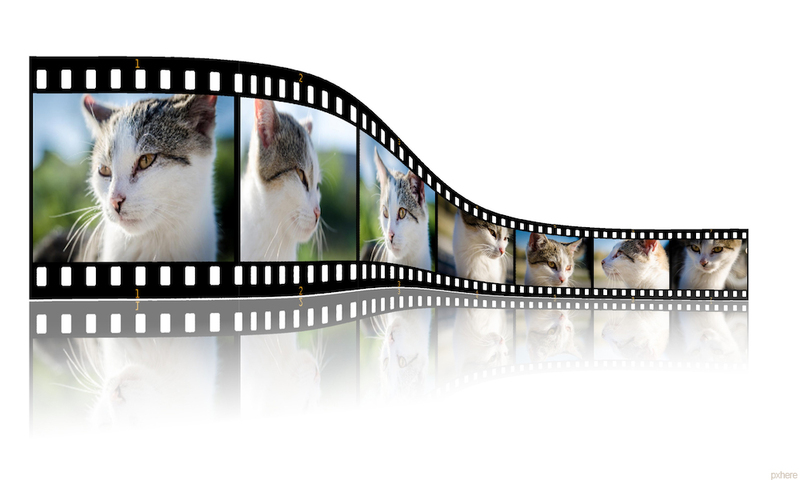 There are many different types of video you can make, and they respectively have advantages and disadvantages. The main types of video files are MP4 and WMV. Their respective homes are on Mac devices and Windows-powered devices, and the differences are worth noting. WMV files are videos that tend to be of a smaller file size, which allows them to be uploaded onto YouTube more easily. The flexibility to make a video and upload it mere minutes later, even on a slower speed of connection, can contribute to making more content and doing so with a greater range of adaptation. Of course, this can lead to lower-quality videos. MP4 videos can contain sound files, still images, videos, and extremely high quality. Since these are also native to Mac, they can be targeted to specific types of people, such as creative professionals. The downside to MP4 files is that they tend to be a lot larger than WMV files, so it can take a lot longer for these files to upload or play. Some users may have less attention span for loading times, and the additional level of video quality may not even be something that they care about. Some people will watch a video that was shot with potato, as long as it provides them with something entertaining or educational. When you want to experiment with both types of videos, you can use Freemake Wmv converter to turn one into the other. While we all need to be online as a business these days, there are a lot of other small things you can do to ensure that you have the right kind of online presence. It’s not just about being active on social media anymore, after all, as this is kind of taken for granted – if you want that competitive edge you’ve been looking for, you need to do more than what the others are doing. You need to be a bit more innovate and think outside of the box in order to be recognised out there. The online world is a jungle, after all, and strangely lawless up until a few years ago; grab the opportunity to do something innovative now and your business may be able to lay the foundation for what other businesses are doing in the future. Today, there is no better way to get some serious business exposure than to show your market how much you actually care. Make sure that it comes from the heart, though, and that you’re supporting a cause that you deem worthy. Otherwise, the community will certainly punish you for trying to take advantage of others to boost your business. There are many ways to join the social movement, however, and how you choose to do it is up to you. Donate a couple of bucks for each item you sell of a certain category, for example, use social media to talk about the cause you’re supporting, and consider running a fundraiser event to boost the support even further. It’s a win-win, really, as a worthy cause will get the support and exposure it needs and your business is able to gain a proper boost because of all of its good work. Sure, marketing through videos is nothing new – but how much is your business really using it? People love to interact with actual human being and both live streams and general marketing videos are great for this. You need to do it right, though, and make sure that you have someone in front of the camera who knows what they’re doing. You can have a look at this article as well, by the way, for some more tips on how to create videos for social media so that everything you create is both flawless and credible. While your business may be scattered across different platforms online, your official website is like your home – or your basecamp, if you like. It’s where the business actually lives and your customers should be referred to it wherever they encounter your business name online. That’s why you need to make sure that it is both up to date, innovate, slightly artistic, and interesting to spend time in. Check out this logo maker, for example, to get it right from the start. Since everyone is trying to increase their own business exposure at the same time as you, the competition will always be kind of tough. Go even further than them, on the other hand, and you might find that it’s not that difficult to beat them, after all. Could Your Company’s Own Merchandise Line Boost Your Exposure? Did you know 380 websites are created every minute? That’s a staggering statistic that points to the hyper-competitive nature of the internet. The reason these sites fail is usually because of search engine optimization (SEO) mistakes that are dogging their sites ability to appear at the top of Google. What mistakes are these sites making? And what should you be doing with your site to ensure your marketing efforts don’t go to waste? Keep reading to discover the seven most common SEO mistakes you need to avoid now. Keyword mistakes are probably the most common SEO mistake so I’ll spend the most time on this point. In their most basic form, search engines are still keyword based. A user enters keywords in the search bar and the search engine finds relevant search engine results based on that keyword. Most website owners recognize the importance of keywords but don’t know how to properly identify and utilize the best keywords for their business. That’s understandable because they have businesses to run and not a lot of time to study SEO. Choose keywords targeted to your business using popular keyword tools like Ahrefs Keyword Explorer and Moz Keyword Explorer. These platforms allow you to easily see what keywords your competitors are ranking for to give you a good idea of the keywords your customers are using. You can also perform keyword searches to discover how many searches a keyword receives and how difficult it would be to rank for that keyword. Don’t commit the SEO mistake of creating content around high difficulty keyword phrases. For example, let’s say you want to publish an article for the keyword phrase “life insurance.” If you notice the top 10 results on Google are all owned by huge companies like State Farm and USAToday, it will be next to impossible to outrank those websites. That’s why it’s important to check the “difficulty ranking” you whatever keyword tool you are using. Another mistake is not using long-tail keywords, which are the low hanging fruit of SEO rankings. Long-tail keywords are longer and more specific keyword phrases. These keyword phrases are usually easier to rank for, and because they are so specific, they usually convert better. So instead of trying to rank for “life insurance” choose a long-tail keyword like “best life insurance no medical exam no waiting period.” According to Ahrefs, the latter keyword receives over 1,200 searches each month with an “Easy” keyword difficulty score. Perhaps the biggest SEO mistake relating to keywords is to overuse your target keyword in the content. Typically, this means you are writing for a search engine and not a real person. The copy ends up sounding unnatural and forced. Don’t aim to use the keyword a set number of times or a percentage. To avoid Google penalties, only use your target keyword organically. Perhaps the most common SEO mistake is not listing your business with Google My Business. With the growing popularity of “near me” searches, perhaps the biggest search opportunity for small businesses is to claim your business location, list your business hours and answer all the pertinent questions. Google has appropriately placed emphasis on near me searches, recognizing the trend of consumers searching for nearby businesses. Getting your business to show up for local Google searches and on Google Maps is a quick win so claim your Google My Business listing now. Search engine users decide if they are going to click on a search result based on the page title and meta description. In the SERPs, the title is the name of the page and the meta description is the snippet underneath the title that gives you a preview of the content on that page. You want an attention-getting headline for your title and a meta description that accurately describes what the content is about. You want to optimize these components not only to attract more clicks but to attract the right clicks. If your content doesn’t match the page title and meta description, the user will hit the back button. This will hurt your bounce rate and your session duration, two metrics which let Google know if users find your content valuable. Bounce rate measures how often users hit the back button and return to the SERPs, and session duration measures how long a user stays on your site. As mentioned in the last item, session duration is an important SEO ranking factor. One of the best ways to increase your session duration time is to make sure your site is easy to navigate for users. Organize your site categorically using keyword-optimized category names. And make sure your link structure creates pathways for users to find exactly what they want within two or three clicks. This is especially true for your conversion pages. Also, include links to older articles to spread authority to these pages which may be hidden deep on your site. Always remember that Google is in the business of delivering relevant and valuable search results. To that end, the search giant is always on the lookout for signals that indicate relevancy and value. Two of the biggest indicators Google depends on are social signals and authority signals. The more times people share your content, the stronger social value your site has with Google. The more links your posts receive from other websites, the more Google views your site as an authority domain. Therefore, your goal is simply to create the most link-worthy, share-worthy content on the internet. How do you do that? By making sure any content you publish is better than all the top search results. Look at what your competition is creating. What did they leave out? How can you expand upon their content? What personal insight can you add to the conversation? Read the user comments on their posts looking for questions you can answer in your content. In 2018, Google announced they are now “mobile first.” That means they are delivering search results based on the mobile friendliness of a website. The more your site is optimized for the mobile experience, the better it will perform in Google’s SERPs. Luckily, Google has a mobile friendliness test you can run on your website. The test will give you some suggestions on how to improve the mobile responsiveness of your site. Pay particular attention to improving the page loading speed on mobile devices as that is the common mobile SEO problem. One of the problems with SEO is, as the saying goes, “you don’t know what you don’t know.” As a result, if our site is underperforming on Google, most of the time we aren’t sure why. That’s where SEO audits come in handy. They give us the opportunity to discover and address SEO mistakes that may be hurting our search rankings. Make sure to regularly audit your website’s performance from a client’s view and the view of a search engine. Make sure your site doesn’t have any broken links and that information is easy to find. Ensure your site loads quickly on desktops and on mobile devices. Review your checkout process and the quality of your content. Finding SEO mistakes on your site should not be discouraging. Think of any problems you find as opportunities to improve your search rankings. SEO work is never complete. Be consistent in your optimization efforts and evaluate your progress over time. Schedule regular audits, test titles and meta descriptions, and continue to create link-worthy content. Before long, your site will be an unstoppable force on Google and other major search engines. If you found this article helpful, check out how to get the fastest SEO results in 2019 now. Did You Follow These 5 Search Engines Optimization Steps? You’re missing out on a major marketing strategy if your digital marketing game is falling short! Every business needs a strategic plan when it comes to marketing. But is a digital marketing strategy necessary for success? We wouldn’t recommend marketing your business without it. Recent statistics tell us that 59% of consumers source multiple channels before making contact with a business for the first time. Most of those sources are digital, including email, online advertising, and social media. What’s the big deal when it comes to digital? Here are five digital marketing advantages to consider when developing your marketing plan and budget. Wouldn’t it be great to know when a potential customer receives your snail-mail piece? You’d also love to know when they open it, if they read it, and what part of the art or copy triggered them to make a purchase in your store. That kind of tracking isn’t possible with traditional marketing strategies. However, with digital marketing, you can track the effectiveness of many critical pieces to your campaign. From the effectiveness of subject lines, to knowing who opens an email, to tracking which link or text within an email generated an action–digital marketing results are easy to track. With that kind of data, your marketing team can make strategic decisions about campaigns, audiences, and offers. Tailor upcoming campaigns to audience behavior from prior campaigns. With many traditional forms of marketing, you have to wait until the end of the campaign to know how it performed. If something goes wrong, you can’t pull back a mailing or print advertising. One of the best benefits of digital marketing is the ability to make strategic changes mid-campaign. With real-time results, if a campaign isn’t performing well or you need to make adjustments, marketers can edit or cancel a campaign with immediate results. There’s no need for a campaign to be a total loss. Watch your metrics throughout the campaign and make adjustments to ensure success. How personalized does it feel when you receive a “Dear Friend” letter from a company? It’s not as inviting as receiving communication addressed to your name with content that relates to you as an individual–not as one in a crowd. Personalization is available with print campaigns, but it’s limited. It also increases your costs for the campaign. Another reason why digital marketing is so effective is the level of personalization available for your campaigns. Address users by name. Target potential customers by interests and geography. In most cases, adding personalization to your email or digital add campaign doesn’t increase your costs. Agencies like Trevisan recognize the importance of personalization when it comes to your digital marketing strategy. Instead of blasting the masses with your message, target a smaller audience for a personalized experience and better success. How are you doing? Your customers will tell you. Some businesses fear online reviews. For the many good reviews out there, there’s often that one disgruntled customer who blasts out a terrible review on any available platform. Your offline and online business reputation is manageable in the face of a bad review or an incident out of your control. But your marketing plan has to include a method to monitor online reviews and plan of action when negative reviews appear. If you’re not actively monitoring your reviews, there are other indicators that your online reputation might be in trouble. When sales suffer, or you notice a decline in profitability, you could have a reputation issue. While it’s easy to become disheartened when negative reviews happen, it’s a perfect time for online brand management. It’s not an easy process. But your business has an opportunity to request positive reviews and respond to negative reviews. Take an active role in the advantages of having access to customers and their feedback. Most traditional forms of marketing have limits to size and scope. Whether it’s a lack of budget dollars or a physical restriction to a print ad, non-digital advertising has limits. Your digital marketing efforts will reach farther and wider than most traditional marketing campaigns. When using social media, the only limit to your reach is your strategy and creativity. Facebook ads are far less expensive than a mailing or print campaign. You get more bang for your buck online when using strategic audience selection tools and carefully crafted ad content. Plus, when using social media, organic reach and influencers can take your brand further than you could plan it with paid advertising. Users who enjoy your product or service will share your business with others online. The value of organic reach is almost priceless when it comes to digital advertising. Your ad spend goes further online. Audiences from around the world can learn about your local business and take advantage of what you have to offer. Your physical location becomes less of a hindrance to your business with digital advertising as part of your marketing plan. While it’s important to have a multi-channel approach to marketing your business, paper mailings and print ads have limits to their reach. Digital marketing advantages help take your traditional marketing strategies to new audiences. 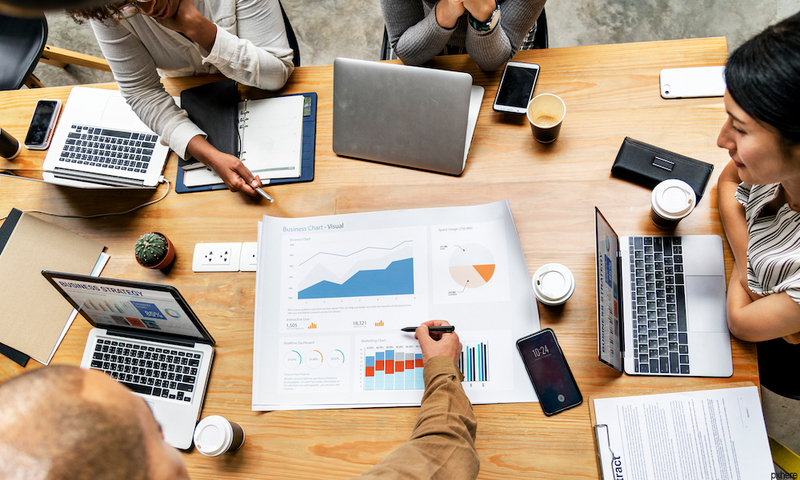 From digital messaging to choosing the right channels to defining your budget, make sure digital marketing is part of your overall marketing plan. When planning your digital strategies, it’s essential to make sure digital efforts are not an afterthought. If you have limited budget dollars, focus first on digital strategies. With small budgets, you’ll see a bigger impact when focusing your strategies on digital channels. Set your digital marketing goals within your overall marketing goals. 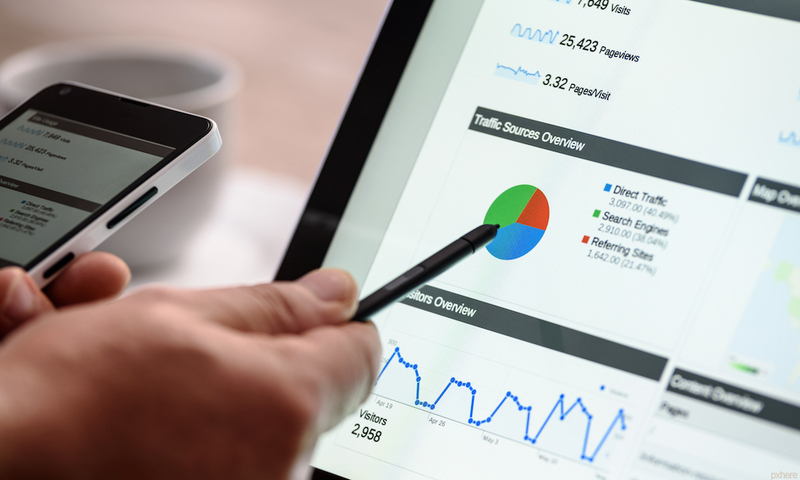 Read more about the importance of creating and reaching digital marketing benchmarks to help grow your business and evaluate your marketing efforts. A web push notification is a message with some text, logo, image and up to three buttons, that appears on top of a current web-page. What follows are seven reasons why you should use web push notifications as a marketing channel. Previously, marketers could send browser notifications only to their entire contact list. Because of this, many users received unnecessary and annoying information. But now advanced providers allow sending personalized web notifications to different segments of the contact list. on mobile and desktop devices. the subscriber didn`t have access to the internet. But these situations are not too common, that’s why the delivery rates of web push notifications range from 50% to 90%. Even if the browser was closed or the device turned off, users could receive a notification the next time they open their browser. Push notifications are a perfect way to quickly deliver messages and to encourage users to visit the website. It only takes a few minutes to create a web push notification You just need to briefly formulate the main idea, add an attractive banner and a CTA button. Automatic substitution of personalized content in the notifications will help you capture the attention of your subscribers much more better than ordinary bulk messages. For example, call the subscribers by their first names. However, it is better to use more complex personalization. You can insert an image of the product that the user has abandoned in the cart or the number of the order which he or she has made. In fact, with advanced marketing automation services, you can set any event that triggers the automatic sending of a web push notification. Most often, online businesses use email or SMS as marketing channels. Push notifications don’t replace but complement them. Advanced automation systems allow you to use multiple channels in a single marketing workflow, for instance, an abandoned cart workflow. This significantly increases customer engagement and the chances that the user will take the target action. You can design your notifications in the style of your website. Use branded colors and add your logo to the notifications. For example, this is how you can add your logo and a product image in eSputnik.com. The branded style of the message will attract the attention of your users, and they will be more likely to perform the action you want them to take. Push notifications have an “activity time” that you can set manually. Due to this, you will not annoy your users with outdated information, for example, after the promotion has ended. Web notifications can be the perfect solution for fast and reliable customer communication. They are delivered as soon as a user opens the browser, even if he or she doesn’t visit your website. Considering all this, segmented web push notifications can become a new powerful channel in your omnichannel marketing strategy. Is It Really Possible to Automate Your Marketing? Coming up with the best possible logo is very important. Many companies have struggled to find a logo that communicates the essence of their brand. If you are looking for inspiration, you need to look at some of the companies that did it right. Of course, you don’t want to outright copy of their design approach. However, you can get a sense of the approach that they took and why it worked so well. Here are some famous logos and the lessons that you can learn from them. You shouldn’t have any trouble replicating one of these logos when you need one for your own brand. There are plenty of great logo design tools that can help you out, like this logo maker tool from Designhill for $20. This tool uses state-of-the-art artificial intelligence technology to execute the most intricate design algorithms. It can create hundreds of logos in minutes, which makes it easy for you to choose the best ones for your business. Target has a very simple logo. It is basically just a bull’s eye made from two red rings and a white one conjoining them. This is a simplified version of its original logo, which had three bands of each color. The logo is an obvious image that conveys the theme of the brand. The company’s name is Target and the logo is it target itself. It couldn’t be clearer. Target uses very few design elements in its logo. New entrepreneurs and graphic designers might think that this is a drawback. However, this is actually one of the reasons it is so effective. People don’t want to try to make sense of overly complicated designs. Simplicity is usually best. Target’s logo has gone unchanged for nearly 15 years, because it works so well. Their own research shows that most customers recognize it at a casual glance. Apple Computer’s logo has evolved significantly over the past 43 years. It has evolved in a way that you wouldn’t expect. Instead of becoming more complex, it has actually evolved into simplicity. The 1976 version of the logo was a very complicated drawing of Isaac Newton. One year later, it was a vector-based design of an apple with six different colors. Today, the logo is still an apple with the same contours that the company has used for nearly half a century. However, the logo is completely black. It no longer uses a mixture of different hues and vectors. Apple realize that its logo was a lot more memorable if people could recognize it at a glance. This worked a lot better using a simpler logo, which is why the Isaac Newton cartoon gave way to a basic picture of an everyday apple. Google is one of the newer companies on the New York Stock Exchange. However, its logo is already one of the most famous in the world. The company has the most popular website on the planet, so a couple billion people see it every single day. Due to its high visibility, Google couldn’t afford to get its logo wrong. Google is another company that has thrive by using a slick, simple design. Its logo is basically a text version of its name. It has multiple colors. There is one subtle difference that people wouldn’t pick up on at first glance. One of the letters is green. It is the only letter that does not have a primary color. This is meant to signify simple differences that make the company unique. Nonetheless, the overall design is very easy to understand, even if the metaphor is lost on most people. 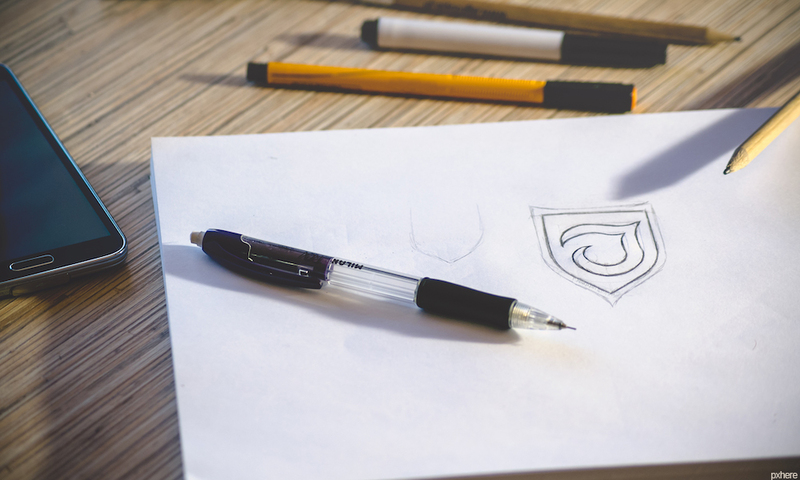 Designing a good logo doesn’t need to be hard. You just need to find the simplest approach possible.